A Karsten Tent is not only popular among campers. 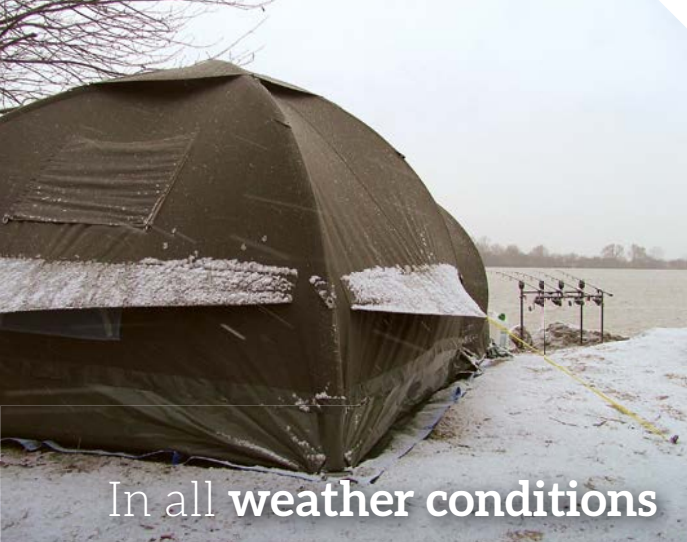 The heavy qualities of the canvas, the indestructible bisonyl bathtub groundsheet, and the strong materials make this quality tent a firm favorite for the longer term Carper. Indeed for those fishing in France and beyond this is becoming a firm favorite. 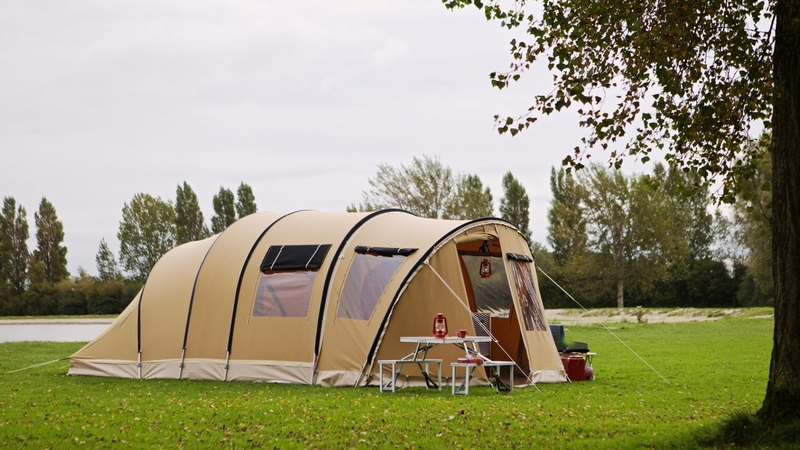 The sewn in groundsheet keeps out drafts, moisture, and insects, allowing for a more comfortable stay and like the Karsten Camping Tents, the awnings are also modular allowing you to use just the bivvy, add the comfort (curved) awning or when the wind starts getting up by using the front wall to close off the awnings. 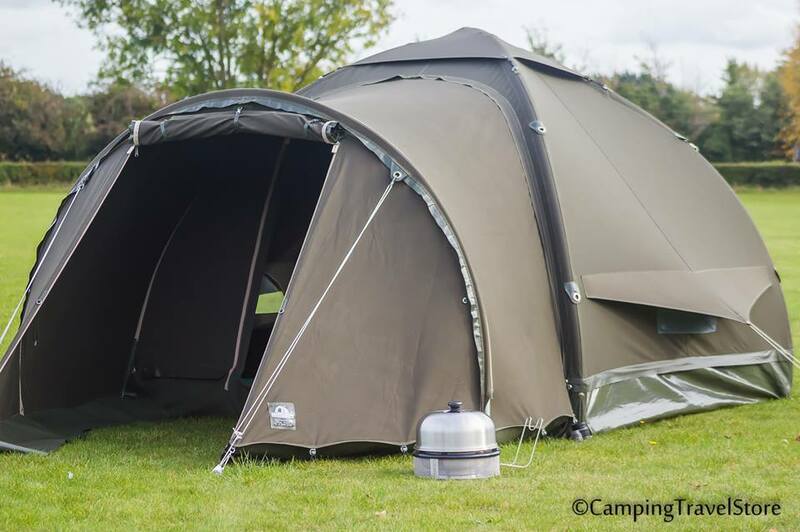 The Carp Bivvy is available in two sizes. 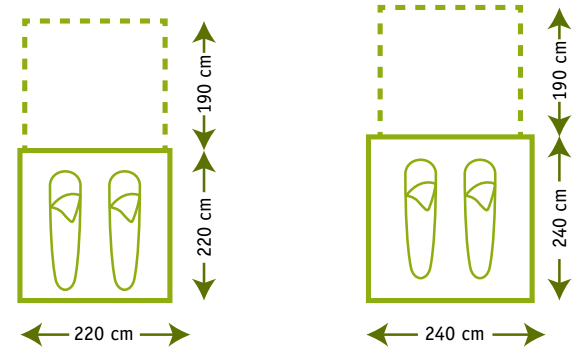 The 220 model and 240 model. The most popular being the 240 as this allows ample space for two good sized bedchairs, clothes and all the equipment associated with the sport. The main tent features a gauze window to the rear of the tent with an outer zip down canvas cover. There is also an inlet for an electrical socket to the rear of the tent. There is adjustable ventilation in the roof and this together with the two side vents minimalises condensation. The front door has a foil (plastic) window in with a zip-down outer canas cover. There is also a velcro strip along the base of the door allowing you to crash through when the alarms sound! The comfort awing provides ample protection from the rain and sun for you to sit under whilst making up rigs etc... the front wall door also features a foil window and once zipped down offers maximum protection from the elements.